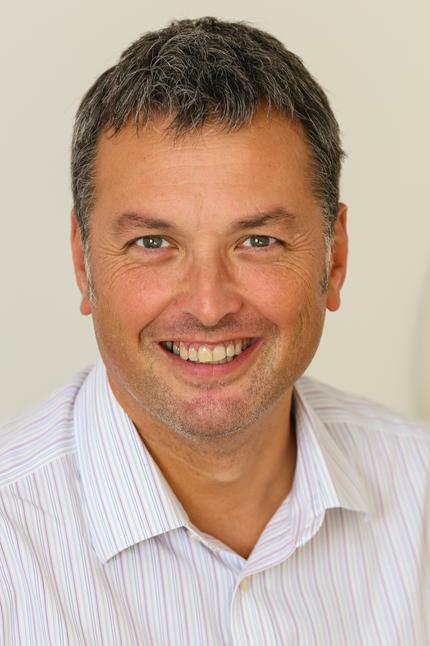 Allan works as leadership education consultant with the Cheshire-based company Wickland Westcott. Allan has previously held senior management positions in three Universities and has extensive experience of school governance. He served as a Community Governors at Market Drayton Infants School for approximately 12 years, including a period as Chair. He was also a Trustee and Governor at Sir John Talbot Secondary School and Six-Form College for 2 ½ years. has been a Member, Trustee and Chair of a Multi-Academy Trust for 22 months. Appointed to the MAT (3 schools) when it was less than 4 months old he oversaw the recruitment of a high quality CEO (a National Leader of Education) and worked with them to establish and implement an effective governance and management framework which supported a growth and school improvement strategy. Allan offers a wide range of skills and experience. He has managed corporate governance at two universities, developed risk and performance management and reporting, and has inducted and trained governors. He has also managed HR, and Marketing & PR and communications teams, so has a strong understanding of activities within these spheres, sufficient to be able to plan, support and challenge and the leadership within the MAT, particularly whilst the MAT establishes itself. He has experience of developing and managing significant budgets (seven figure) and has delivered transformational projects across organisations, including those where there has been the need to realign resources. He has led and managed teams across multi-sites (campuses). Allan is great believer that education is a “key” to unlock potential within and provide opportunities to transform and improve quality of life. He advocates that everyone has a responsibility to use their skills and experience to give something back to society by making a contribution to their local communities. In his spare time he fund-raises for the Junior Royal Northern College of Music to support the musical education of talented youngsters, he enjoys the occasional game of golf, and retains his keen interest in human spacefllight. Allan is currently the Chair of Trustees and a Member at Empower MAT. Julian is a business graduate and qualified accountant with over 25 years finance experience. He joined PricewaterhouseCoopers (PwC) in 1992 and qualified as an accountant and worked for PwC until 1998 performing a wide range of external audit, internal audit and consulting assignments in both the commercial and public sector, including the establishment and audit of Grant Maintained Schools. He joined KPMG in 1998 as Head of Operations for the Infrastructure and Government Department managing a diverse portfolio of clients and delivering fee income of circa £100m on behalf of 5 Partners and managing 6 sub departments of 100 audit staff and 80 consultants based in Glasgow, Manchester, London and the Midlands. He was part of the team that raised the finance for the Cardiff Bay Regeneration and also consulted on Manchester’s delivery of the Commonwealth Games. For the last 15 years Julian has worked for HomeServe Plc (formerly South Staffordshire Group Plc) in a number of senior finance and operational roles, including Group Assurance Risk and Best Practice Director, Property Repairs Finance Director, Buildings Division Finance Director, Group Financial Projects Director, HomeServe Membership Ltd Compliance Director and Global Quality and Best Practice Director. During his career Julian has developed a strong understanding of Governance and Oversight whilst delivering results in a dynamic and changing environment. He has significant experience of working with Boards, Audit Committees and Regulators. Ian is a National Leader of Education and CEO of Empower Trust. Ian was previously Headteacher of St.Peter’s CE Primary and Nursery School - a National Support School and a National Teaching School. Ian was also Director of the North Shropshire Teaching School Alliance, a National Pupil Premium Grant Reviewer, a founding member of Shropshire Schools Forum, a member of Shropshire’s Central Policy Group, a Trustee of the Market Drayton Learning Partnership Trust, and a member of the Chairs of Headteachers National Executive Board. Ian was previously Chair of the Shropshire and Telford and Wrekin Teaching Schools Sub-Regional Group and represented the group on the West Midlands Regional Teaching Schools Alliance. Ian met Prime Minister Gordon Brown at No 10 Downing Street and has experience of working with Ministers and DfE officials on education policy issues. As one of the first cohort of National Leaders of Education, Ian has supported over 20 schools and academies to move out of Ofsted categories. Under Ian’s leadership St Peter’s school became the first Leadership Development School, National Support School and primary National Teaching School in Shropshire. Ian has designed innovative school-led school-to-school support strategies promoting effective collaboration between schools, leading to improved outcomes for Shropshire children. He played a key role in developing and leading the first £500,000 Strategic School Improvement Fund project focused on improving outcomes for children in 24 schools across Shropshire and Telford and Wrekin. Ian has worked as West Midlands Associate for the National College of School Leadership (NCSL), promoting leadership development in schools and academies, an Ofsted inspector and a School Improvement Partner. He has delivered keynote speeches at regional and national conferences and was a founding member of the Food for Life National Education Advisory Board. Ian has also been Headteacher of two primary schools and a large junior school. He has undertaken many part-time roles including Consultant Leader and advisory teacher for both ICT and Curriculum and Assessment. Michael Revell started his working life in 1964 in industry, as a clerk with ICI Paints Division in Slough, Berkshire. He gained a Higher National Diploma in Business Studies and a Post Graduate Diploma in Personnel Management and then embarked on a career in Personnel and Training, primarily in Berkshire. He officially retired in 2007 having spent his last nearly 30 years as a Royal Air Force Administrative (Secretarial) Officer. He is a Chartered Fellow of the Chartered Institute of Personnel and Development, (he was recently commended for 50 years membership of the Institute) and in 2009 he gained an MA in Human Resource Management from Wolverhampton University. Michael lives in Market Drayton, Shropshire. He is, inter alia, the LA appointed Governor (and immediate past Chairman) of Buntingsdale Primary School, Chairman of Lichfield Diocesan Board of Education, a Member of the St. Chads Academy Trust, a Trustee of Empower Trust and a member of the Shropshire Schools Forum, representing primary schools. Lesley has enjoyed a 25-year career in the higher education sector and has a Professional Doctorate in Education from the University of Sheffield. Her previous career was as an information professional in both the public and private sectors both at home and overseas. Lesley speaks fluent German. She has served as an elected parent governor at Alsager School in Cheshire and is currently Chair of the Local Academy Council at one of the largest primary schools in Staffordshire. She was also a Trustee and Vice Chair of the Staffordshire University Academies Trust and was instrumental in its inception. She now uses this experience to support other new and developing multi-academy trusts. She is also a serving Corporation Member of the Newcastle and Stafford Colleges Group.